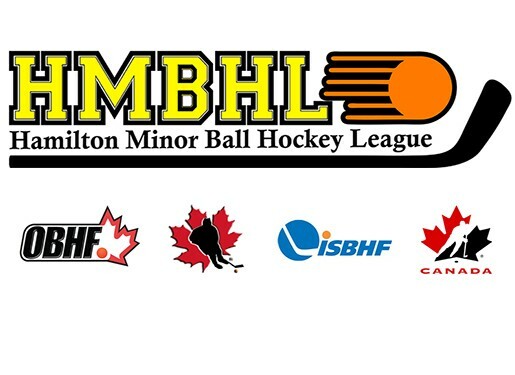 Updated Monday January 7, 2019 by Hamilton Minor Ball Hockey League. Established in 2015 the Hamilton Minor Ball Hockey League is the ultimate organizational role model for the sport of Ball Hockey in Canada. Setting a new standard by combining passion, tradition and community involvement; our goal is to provide an affordable minor ball hockey league for our youth to enjoy. Our sport is inexpensive to play, requires few basic skills and transcends all socio-economic barriers. Our league is a member of the Ontario Ball Hockey Federation (OBHF). The Ontario Ball Hockey Federation crowns champions at many different levels and players can participate in many different age groups from Learn to Play / Squirt (3-6 years of age) to Masters (over 40 years of age). There are minor's, men's and women's leagues available and balanced competition is promoted throughout the province by allocating teams into A, B, C, D and E levels based on player experience and ability. Similar to ice hockey, players may participate in House League and Representative Programs. The OBHF sets the standard for the sport of ball hockey throughout the world and strives to be one of the most successful amateur sports organizations in Canada. More information can be found at www.ontarioballhockeyfederation.ca. The OBHF is a member of the Canadian Ball Hockey Association (CBHA - www.cbha.com) which is an associate member of Hockey Canada and governs the sport in this country. There are over 60,000 players of all ages playing in organized leagues throughout Canada. Ball Hockey also enjoys a large global presence and the sport is currently being played in as many as 50 countries worldwide. The CBHA has always taken a leadership role in the expansion of ball hockey and was a founding member of The International Street and Ball Hockey Federation (ISBHF - www.isbhf.com). Ball Hockey players can aspire to not only be crowned domestic champions, but be honoured as world champions as well. The International Ice Hockey Federation (IIHF) has officially recognized the ISBHF as the governing body of street and ball hockey in the world.